Kidspace Children’s Museum’s annual fundraiser has a new theme each year. “Once Upon a Time” was all about stories of adventure, courage and love. 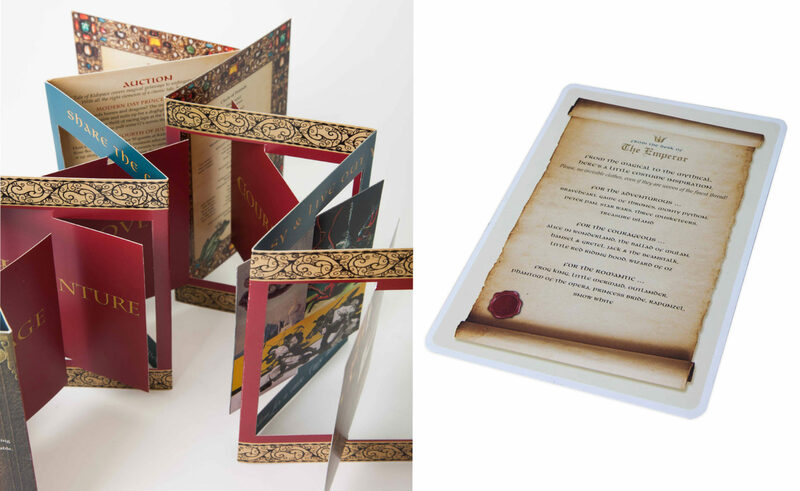 This imaginative design used folded, turning panels with images from classics such as Tarzan, Treasure Island, Alice in Wonderland, Cinderella and The Frog Prince. 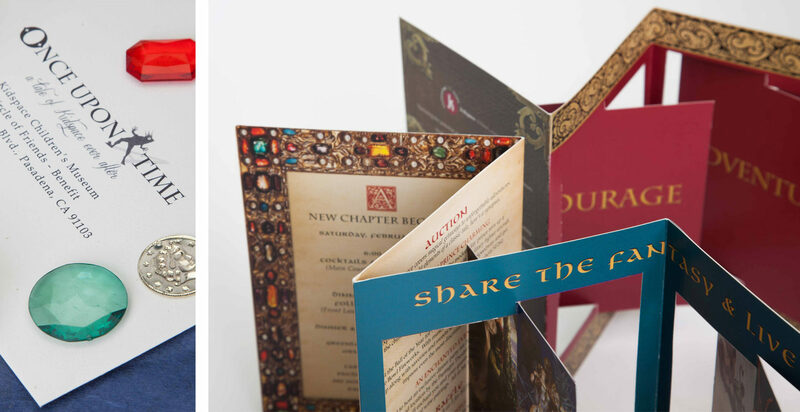 The full suite included custom logo design, matching response card, illustrated map and an Emperor’s New Clothes costume suggestion card. It was quite a ball!